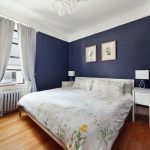 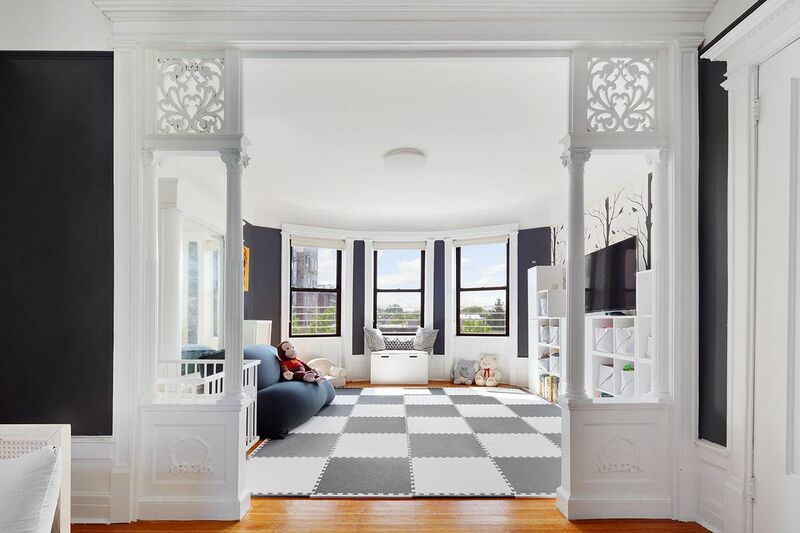 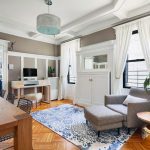 Though it’s a fourth-floor walk-up, this easy-on-the-eyes apartment at 567 8th Street on a quaint south Park Slope block has lots of advantages, even beyond its colorful good looks. 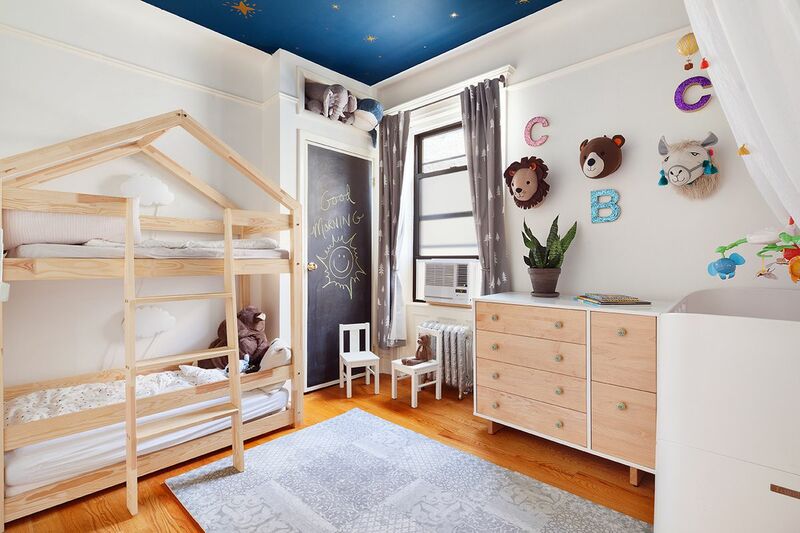 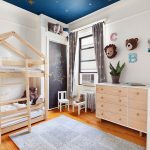 For $1,575,000 Prospect Park is half a block away and with at least three potential bedrooms, a dining room, and an eat-in kitchen, there’s space for everyone. 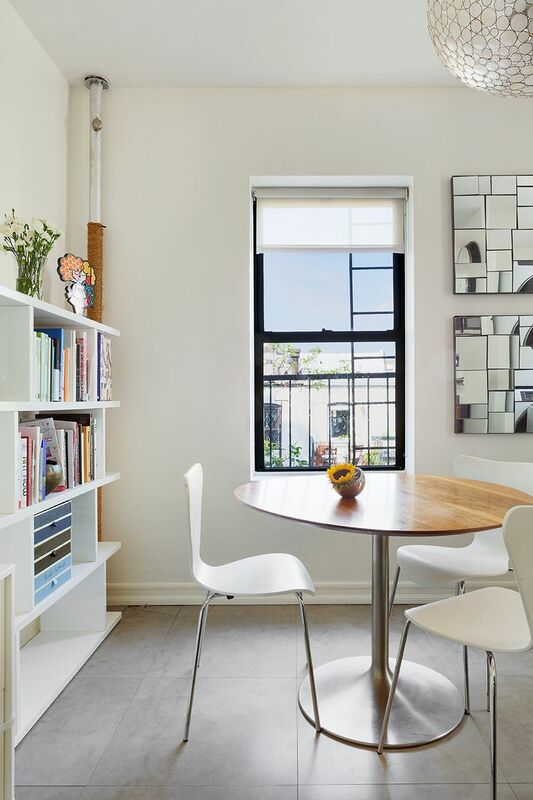 The top floor comes with light and views, and charming pre-war details abound. 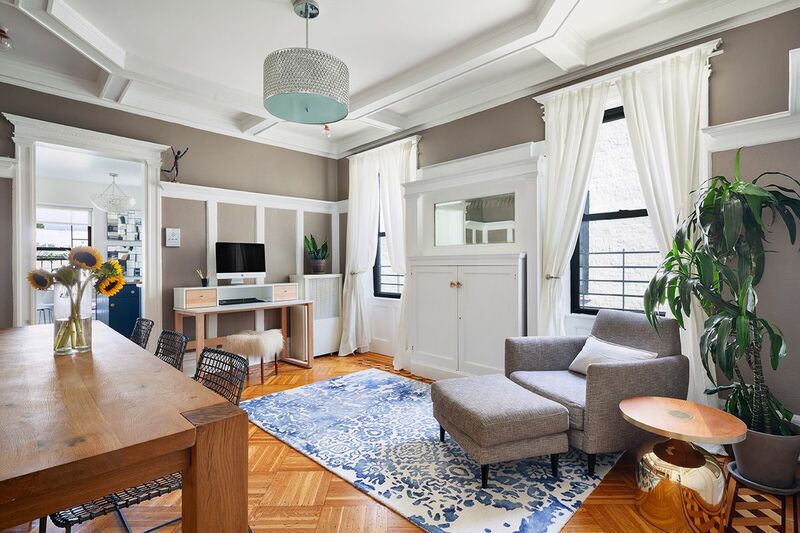 What’s more, this seems to be the rare townhouse apartment that actually offers its residents a gym (we’d love to see it). 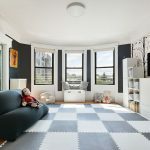 This bright and sunny three-bedroom condominium has top-floor views, classic architectural details, updated modern amenities and a colorful palette. 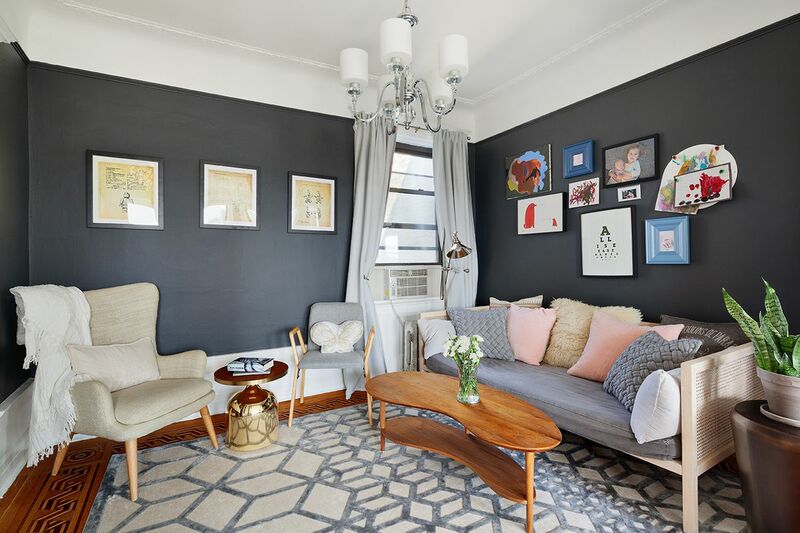 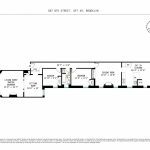 At one end is a sprawling two-room living area that will easily convert to a grand master suite or living room–or something even more creative with a bit of work. 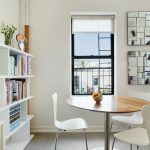 At every turn are the pre-war details–high ceilings, inlaid hardwood floors and original built-ins–that the historic neighborhood is known for. 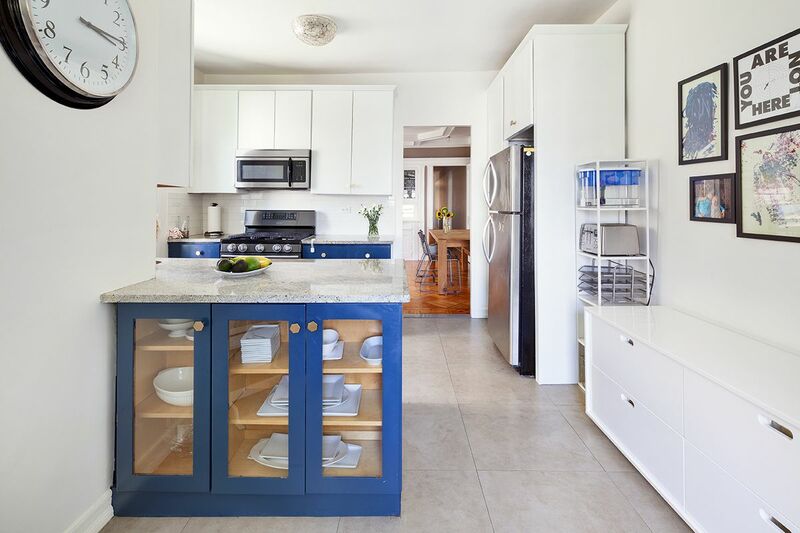 The suitably colorful eat-in kitchen features solid wood cabinets, granite countertops, porcelain floor tiles and top-of-the-line appliances. 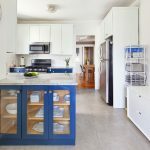 Adjacent is a sunny dining area with an open nook that holds a washer and dryer and storage. 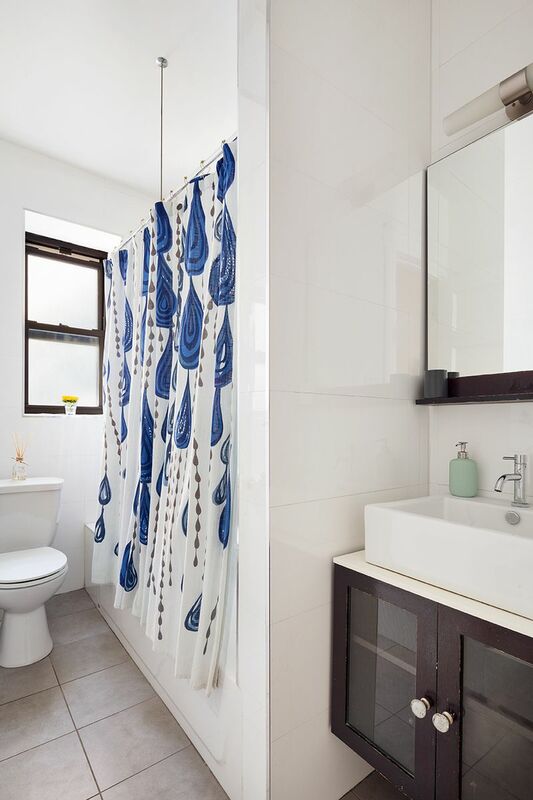 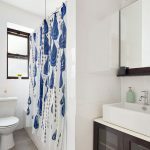 This listing suggests even more flexibility by envisioning a second bath. 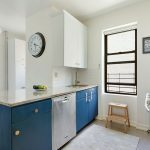 Off the kitchen, a dining room seats eight, and a cozy den area boasts original built-in cabinets and mirrors. 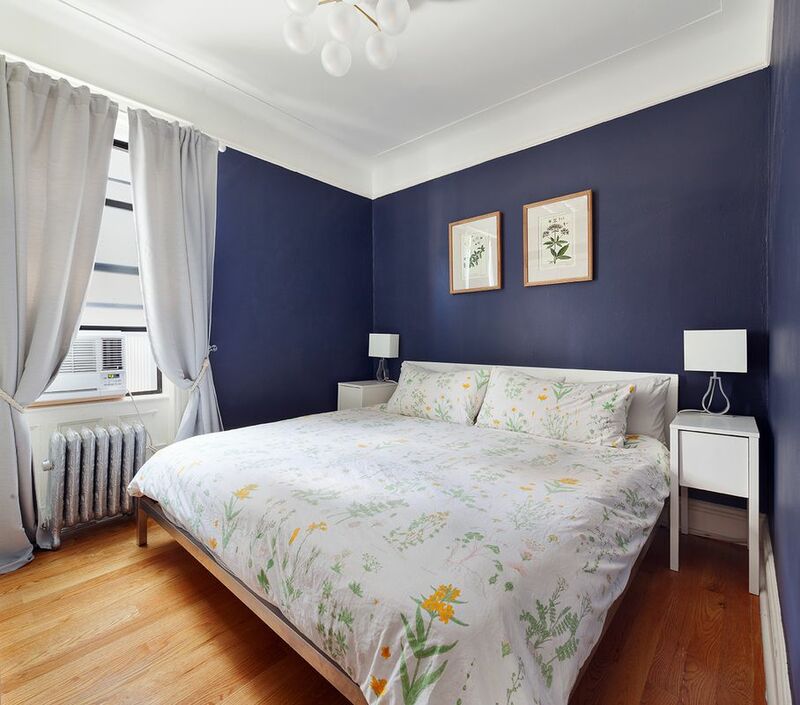 The home’s current bedrooms are sweet, each with its own version of a tranquil blue hue. 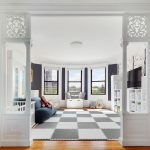 Though it’s not pictured, according to the listing this eight-unit limestone building possesses one of the “most majestic stairwells in Brooklyn–with beautiful stained glass windows on each floor.” That might also remind you of the number of flights you have to schlep to get home–but not with your laundry; fortunately, an in-unit washer/dryer is part of the deal. 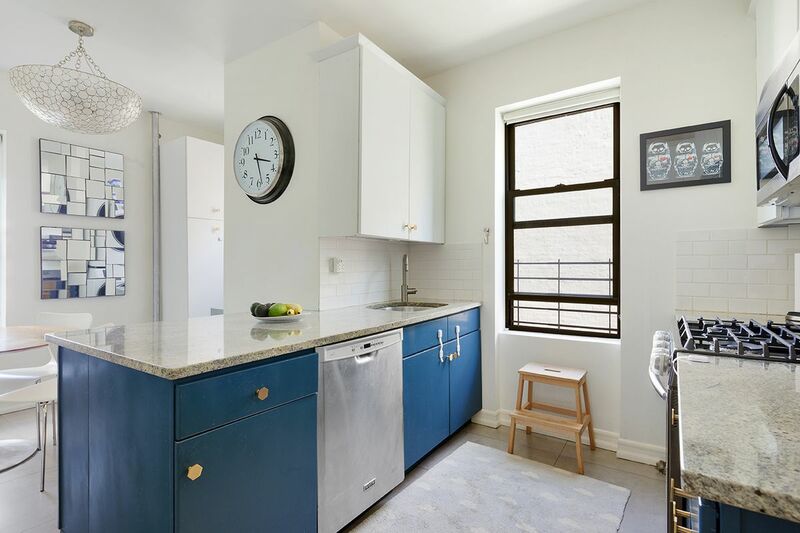 Also included are deeded storage, bike storage and a basement gym–a perk you don’t expect in a townhouse apartment.